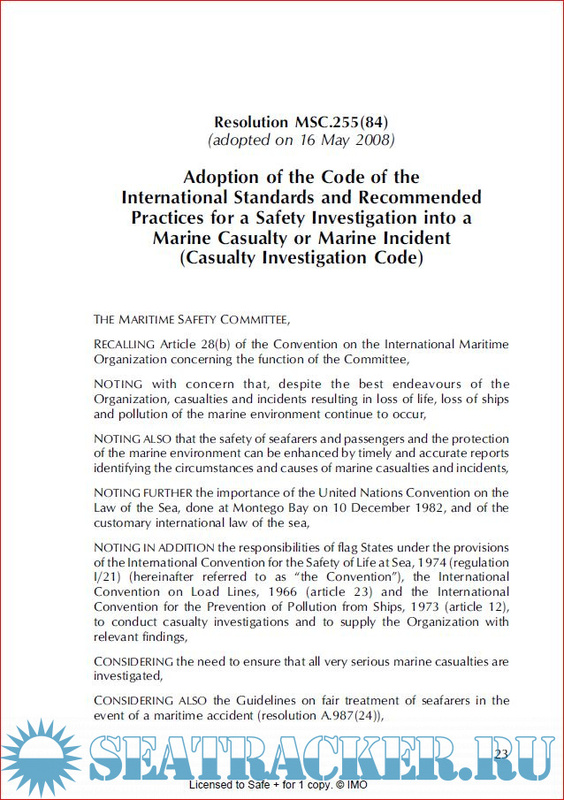 Description: The MSC adopted a new Code of the International Standards and Recommended Practices for a Safety Investigation into a Marine Casualty or Marine Incident (Casualty Investigation Code) in May 2008. 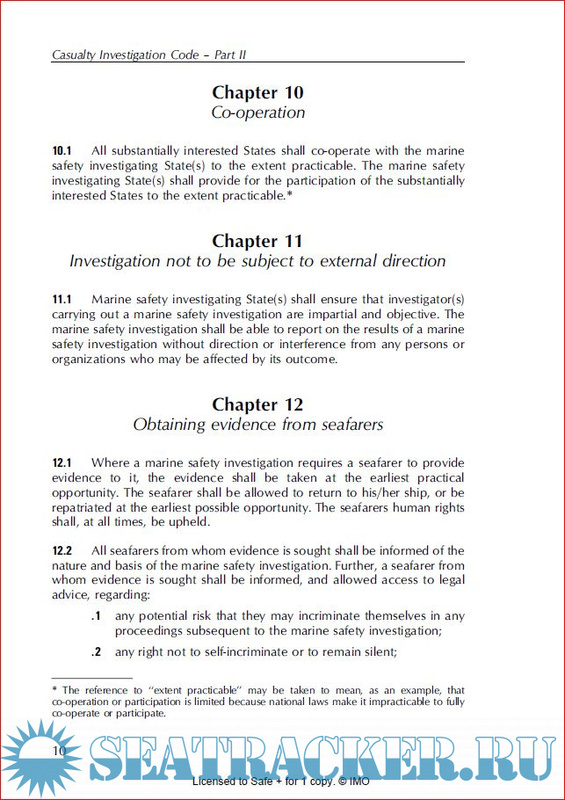 Relevant amendments to SOLAS Chapter XI-1 were also adopted, to make parts I and II of the Code mandatory from 1 January 2010. 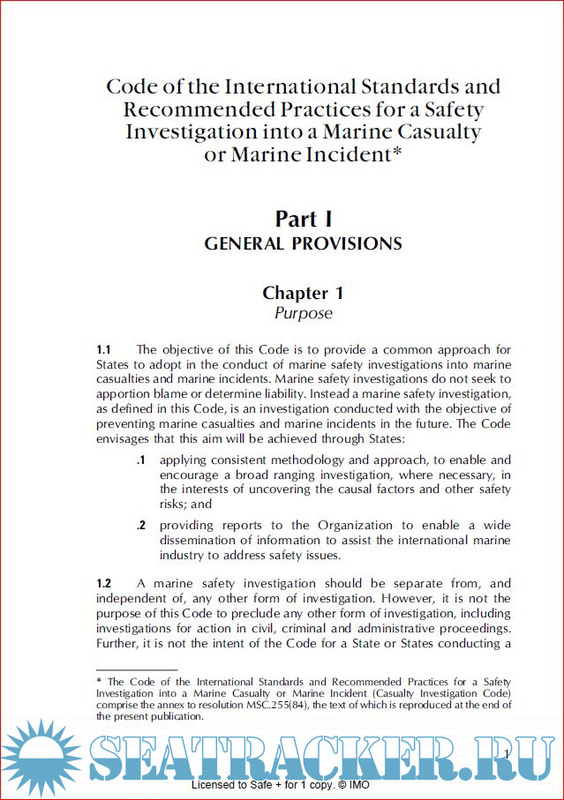 Part III of the Code contains related guidance and explanatory material. 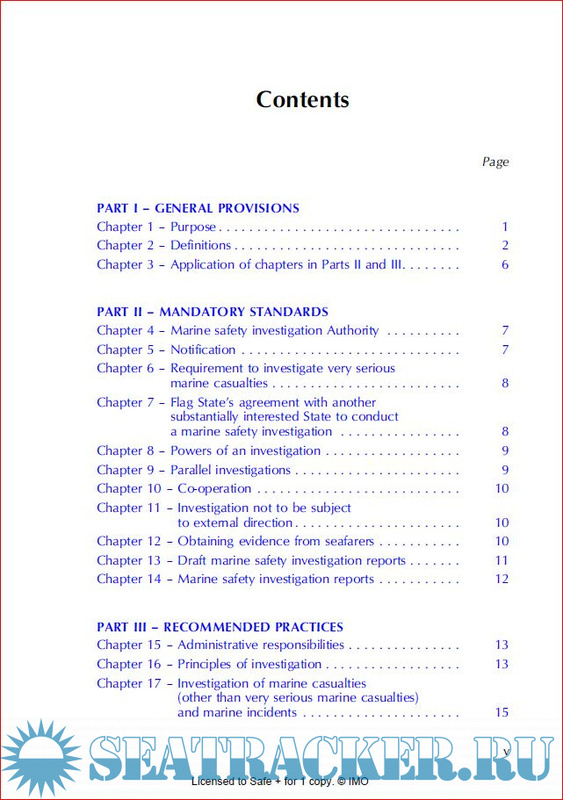 gillnumil, BTW - FULL PACKAGE IMO RESOLUTIONS including MSC 255(84) is here. Next time, please, do not repeat publications, otherwise it will be removed from tracker. Arcan, Thank you for pointing out.